The first song from his Superfly soundtrack. Future and PARTYNEXTDOOR have released "No Shame," the first single off the Future-curated Superfly soundtrack. 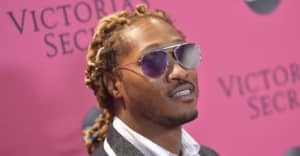 Future is also producing the Director X remake, which stars Big Boi, Michael Kenneth Williams, Lex Scott Davis, Zaytoven, and more. The movie will be released this summer. Earlier this year, PARTYNEXTDOOR appeared on Calvin Harris's single "Nuh Ready, Nuh Ready." Future, meanwhile, has released a plethora of new music already in 2018, including features DJ Khaled "Top Off" with JAY-Z and Beyoncé, and "King's Dead," on the Kendrick Lamar-curated Black Panther soundtrack. Listen to "No Shame" below. Thumbnail image courtesy of Kevin Winter/Getty Images for Coachella and Christopher Polk/Getty Images for Spotify.